The Priory of the Knights Hospitaller of St John at Clerkenwell. On this day, 30 March 1485, which fell on a Wednesday (1), King Richard lll stood in the great hall of the Priory and denied in a ‘loud and distinct voice’ he had ever intended to marry Elizabeth of York (2). The rest is history and it is the Priory which is my subject here today. Steel engraving of St John’s Gate by Thomas Hosmer Shepherd 1829-83. Note the inscription as described by Stow appertaining to the rebuilding completed by Prior Docwrey 1504. The original Priory founded about 1100, by Jorden Briset (3) on a site which covered 10 acres of land, had a chequered history, being burnt down by a mob in the 1381 Peasants’ Revolt , who caused it to burn for seven days allowing noone to quench the flames, being rebuilt, and not being finished until 1504. However it must have been sufficiently grand enough in 1485 for Richard to hold his council there. The Priory’s troubles were not yet over, later being suppressed by order of Henry Vlll. Still, according to Stow the priory church and house were ‘preserved from spoil of being pulled down’ and were ’employed as a storehouse for the kings toils and tents for hunting and wars etc.,’ (4) . Don’t hold your breath though, for moving on, in the third year of Henry’s son, Edward’s reign, ‘the church for the most part, to wit, the body and the side aisles, with the great bell tower, a most curious piece of workmanship, graven, gilt and enamelled, to the great beautifying of the city, and passing all other I have seen, was undermined and blown up with gun powder. The stone thereof was employed in the building of the Lord Protector’s house at the Strand (me: the first Somerset House and also the porch of Allhallows Church, Gracechurch Street, which sadly was lost in the Great Fire of London) That part of the choir which remaineth, with some side chapels, was by Cardinal Pole, in the reign of Queen Mary, closed up at the West End and otherwise repaired. Sir Thomas Tresham, knight, was then made lord prior with restitution of some lands” (5). Unfortunately this revival of fortunes did not last as the priory was again suppressed in the first years of Elizabeth l’s reign. An engraving by Joseph Pennell 1860-1926 in which some the vaulting of the gateway can be seen. Today all that remains of this once magnificent range of buildings are the Grand South Gate now known as St John’s Gate, largely reconstructed in the 19th century and the crypt which has survived beneath the nearby parish church of St John. St John’s Gateway as it is today. So sadly we may not be able today to stand in the Great Hall as Richard did when his voice, strong and steady, rung out to deny the insidious rumours – for we now know they were indeed just rumours as plans were afoot for him to marry a Portuguese princess and Elizabeth a Duke – but we can most certainly walk through the Great Gateway which Richard rode through that day. (6) Prior Thomas Docwra or Thomas Docwrey as spelt by Stow, was the Prior who completed the rebuilding in 1504. Richard the Good, or Richard the Bad? A lecturer discusses it…. Empress Matilda-Should She Be Listed as an English Monarch? Matilda’s forces captured Stephen in 1141 and she came very close to being crowned, but violent crowds of Stephen’s supporters on the way to London stopped the Coronation from taking place. Then her biggest supporter, her half-brother Robert of Gloucester was captured at Winchester, and the only way to free him was to trade Stephen’s freedom for Robert’s. In 1148, Matilda retreated from England for good and left the fighting to her son, Henry FitzEmpress, the son of Geoffrey Plantagenet–the future Henry II. In 1153 Henry and Stephen came to an agreement after the Siege of Wallingford, in which Henry was declared Stephen’s heir as the latter’s eldest son Eustace had died. The next year, Stephen died and Henry took the throne. Matilda is generally not listed as one of the rulers of England but some believe that she should be. Although never crowned, she was Henry I’s heir and before the High Altar of All Saints, Northampton, Henry rallied his barons to swear loyalty to her and to support her claim to the throne. They swore at the time, but as often happened in the Middle Ages, the oaths were quickly broken once Henry died. The idea of a female ruler was not a popular one, although there was no legal impediment to it, as England, unlike France, did not have a Salic Law. Many sources list Edward V, Jane and Edward VIII as monarchs of England, despite the fact that they were never crowned and their legitimacy to the position was disputed–so, if that is considered correct, why then is the Empress Matilda excluded from the list, as designated heir to Henry I? Matilda is, of course ancestor to the line of Plantagenet kings that followed on from her son, and through her maternal side, they also have a line of descent from both King Malcolm of Scotland and the royal House of Wessex via St Margaret. Both claimants were, therefore, among Richard III’s ancestors. Well, well – who was the real St Alkelda of Middleham….? 28th March is the Feast of St Alkelda, a lady who has two churches named after her, one in Middleham, the other in Giggleswick. That seems clear enough. BUT there does not appear to be a St Alkelda. “She” may even be a well, there being a theory that the name Alkelda derives from an old word for holy well or spring. To read much more on this interesting matter, go to the Darlington & Stockton Times’ article, from the 27th March 2015. As this excellent article reminds us, there were eight pre-union Stewart monarchs, or nine if you exclude James VI, who had already reigned in Scotland for nearly forty years before inheriting the English throne. Of these, excepting the two Roberts, only two turned up for a pitched battle with against an English army and only one was actually killed by English troops and the other by accident. A third delegated his fighting duties, although he was quite ill and died within three weeks. Two of them managed to be killed by fellow Scots and another lived in exile in England for twenty years before being beheaded for frequent plotting. The strangest thing is that, throughout this period, the Scots throne always passed that monarch’s heir, whether six days old or fifteen and no matter in what circumstances they died. One of them, James I, married Richard III’s apparent cousin, James IV married his great-niece and Mary died at his birthplace. there is something beyond the flat world we see. Leicester Cathedral and its project supporters (angels?) have done something wonderful and generous: they have digitized Richard III’s “Book of Hours” and posted it on the cathedral’s website. What’s so wonderful and generous about that? When I clicked on the image of the book, it downloaded a PDF of the book. I hope this wasn’t a glitch, and that it does the same for everyone else, because the caption to the image is, “click the image to view the Book of Hours”. 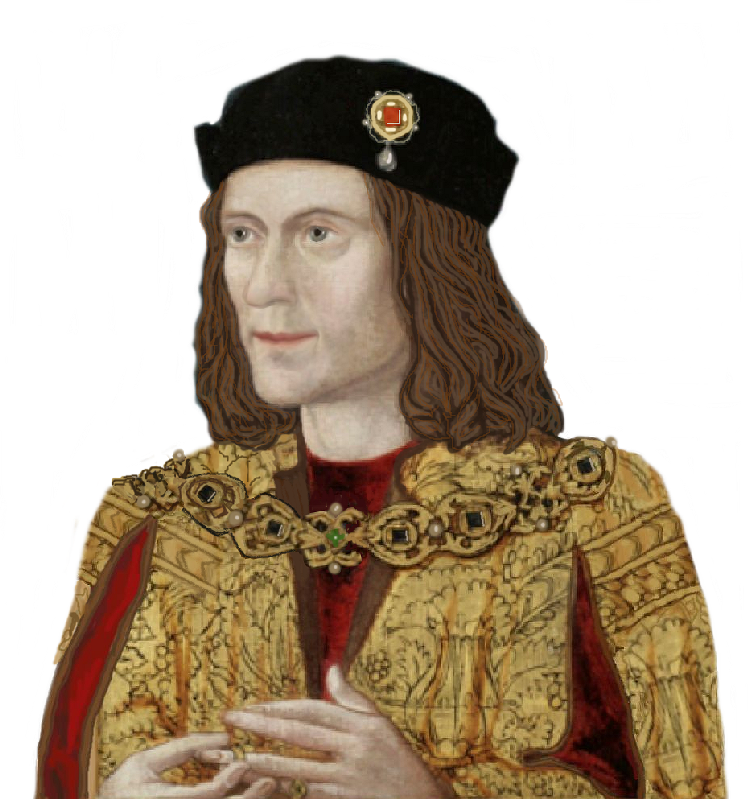 Included with the PDF is a complete interactive copy of The Hours of Richard III by Anne F Sutton and Livia Visser-Fuchs. If you open the PDF to page 1, you can either view Richard’s Book of Hours with little flags indicating where you can read Sutton and Visser-Fuchs’ material; or, you can click on The Hours of Richard III and read the original book on its own. The Hours of Richard III is an expensive tome to buy all by itself, and it doesn’t include all of the pages in Richard’s Book of Hours. An Anglican cathedral has just gifted the world with a 15th-century, Catholic king’s Book of Hours. A Live Science article announced the digitization. Go thou and devour the beautiful tome Richard used (perhaps both before and after he was king), the Book of Hours he left behind in his tent before the Battle of Bosworth. Margaret Beaufort ended up with the book, as her husband ended up with the tent’s tapestries. Beaufort subsequently gave Richard’s book away. Pages are missing from it — removed perhaps after the Reformation, as prayers to saints were involved. It is a miracle the book survived at all. It is a second miracle that the Heritage Lottery Fund, the Richard III Society, and the University of Leicester financially supported this project. A third miracle is that Richard’s personal prayer-book is now available to the world. As you can see, Kit Harrington will soon portray Robert Catesby in a BBC drama about the Gunpowder Plot. Catesby, shot while resisting arrest, was one of the lucky ones. Then again, our folk memory of the seventeenth century is not entirely accurate. Here are nine “celebrity” couples who married in secret, fairly recently, but Edward IV surely couldn’t have done, according to some “historians”. 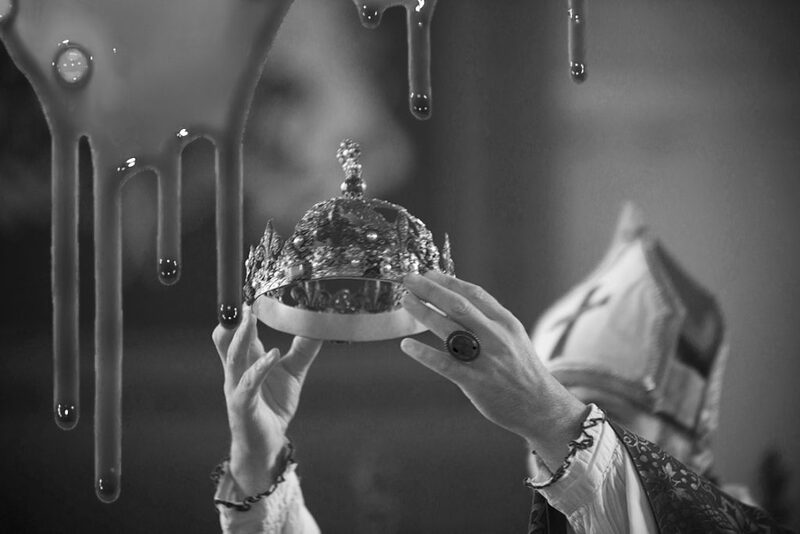 Once, perhaps, but definitely not twice, no matter what a Bishop, the Three Estates and Parliament, all of whom knew him well at the time, concluded. After all, nobody else ever has. He lost his head at Pontefract so what was he doing on sale in Colchester? This Kathryn Warner post gives a lot of detail about Thomas Earl of Lancaster’s life, rebellion and execution six days after the Battle of Boroughbridge. Here we explained the circumstances in which John Ashdown-Hill is seeking his remains, to solve the York/ Beaufort Y-chromosome mystery. Incidentally, the other Thomas of Lancaster you may encounter in a search engine was Henry V’s brother and Duke of Clarence but died at the siege of Bauge, a few months before his King and exactly 99 years after his namesake.